Traditional eating habits of Sri Lankans have been changed over the recent decades. Food belonging to other countries have been often included in the day-to-day meals of Sri Lankans mainly due to their taste, nutrition or easy cooking. When deep-frying any food content, the oil replaces the water components of it. Such food increase the fat level in your body by depositing fat in your blood vessels, which can cause heart attacks and many other illnesses. The body weight and the size of the body too will increase. Singer Air fryer comes to you with all of these special features for an affordable price and is available in island-wide Singer Plus, Singer Mega, Sisil showrooms and authorized dealers. Amidst offering attractive special discounts, interest free payment schemes, credit card payments and easy payment schemes have been arranged for customer convenience. 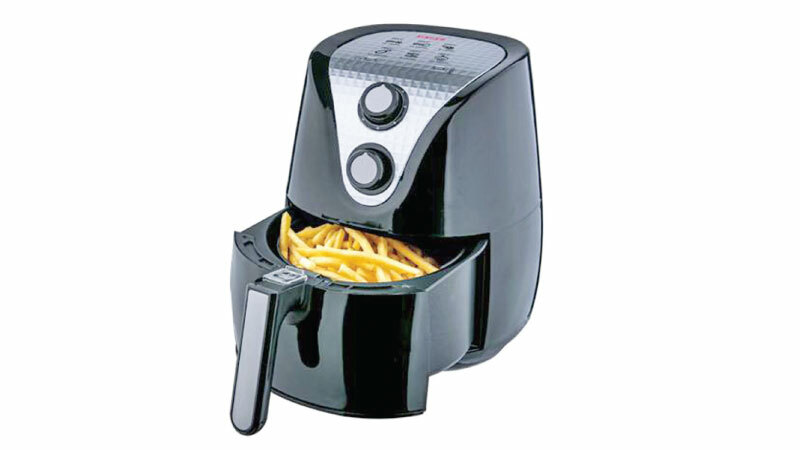 Singer air fryer is backed by trusted Singer warranty and after sale service via island wide service network.